Zumper has released their fall rental report revealing that Seattle has the 10th most expensive rents for a major city in the nation for one bedroom apartments. Zumper reports that the average rent in September for a one bedroom in Seattle is $1600. That’s up 0.6% from the previous month and up a whopping 7.1% compared the last quarter. Zumper reports that a 2 bedroom apartment averaged $2200 for rent in Seattle. 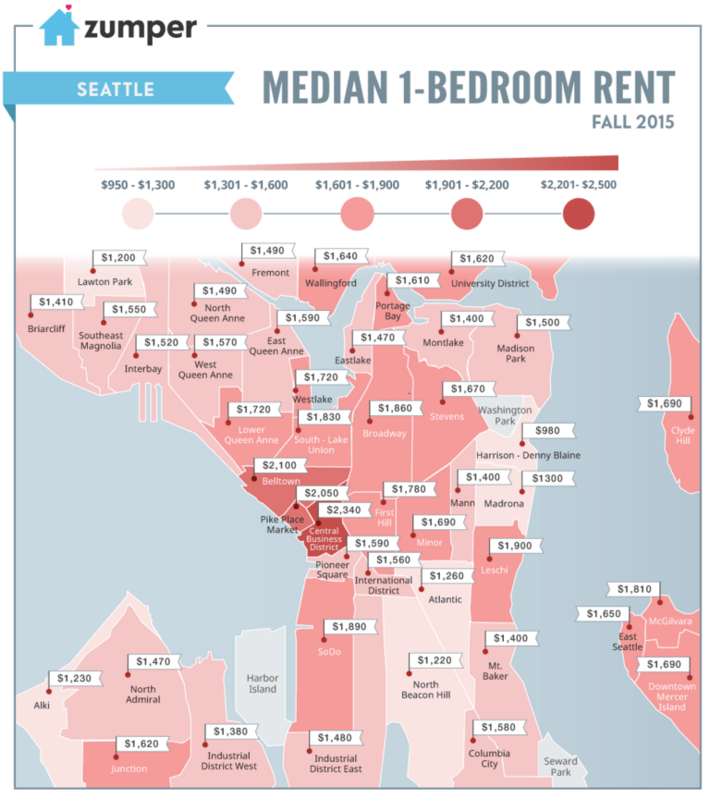 In May, I wrote about how a 2 bedroom in Seattle was averaging $1907 for rent.